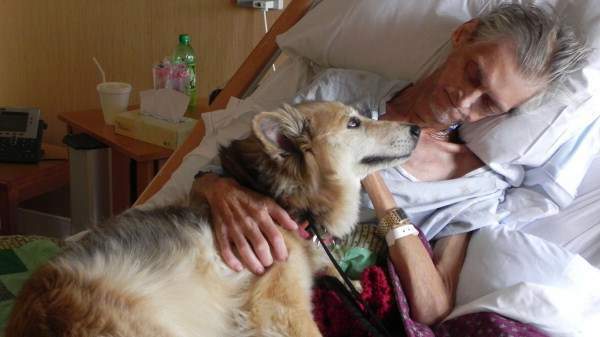 Dogs have a way of comforting us during our toughest times. 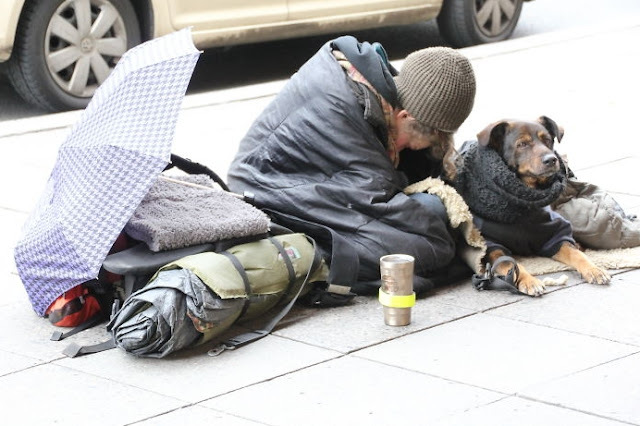 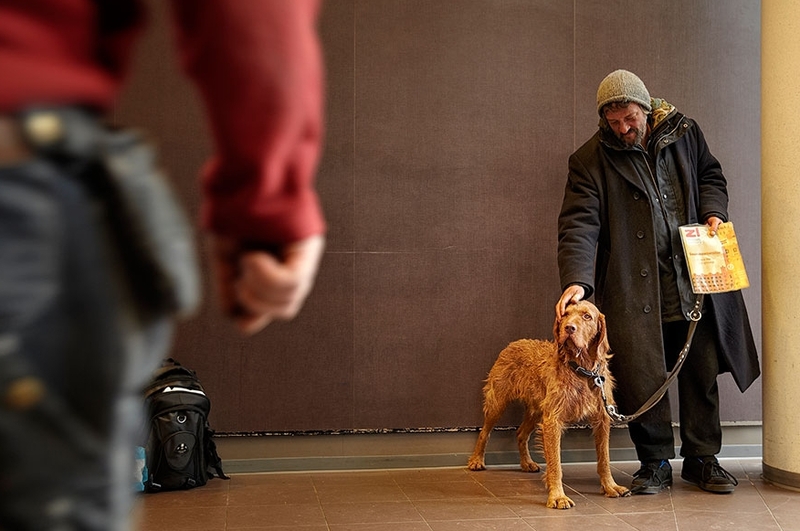 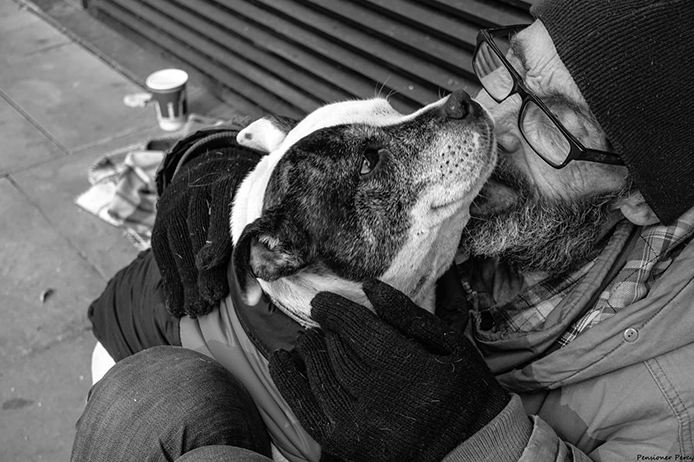 It’s often difficult to understand the issues facing the homeless population, but, incredibly, it turns out dogs are some of the most empathetic, compassionate companions out there, and often help those struggling humans get by. 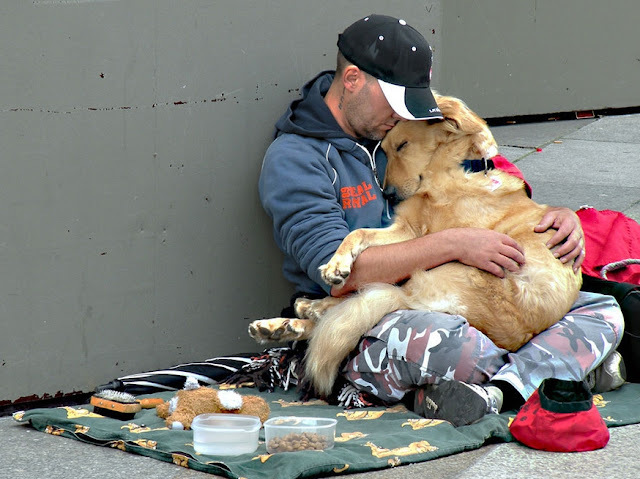 Once a dog forms a close relationship with a caring owner, their loyalty can be unbreakable, and they will stick with their owner through thick and thin. And unlike us, dogs don’t pass judgment on people who are down on their luck or homeless. 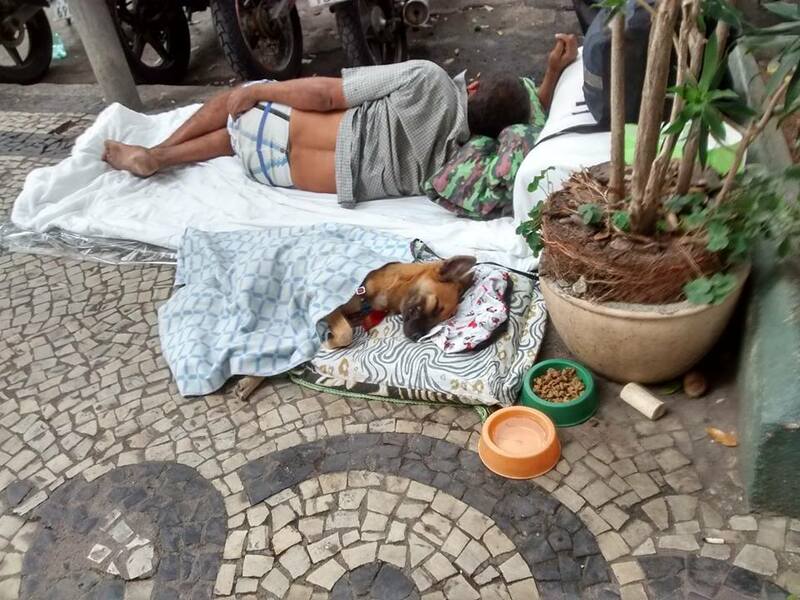 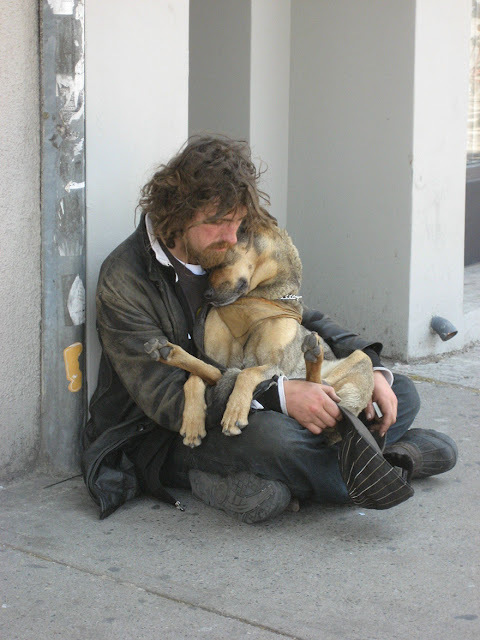 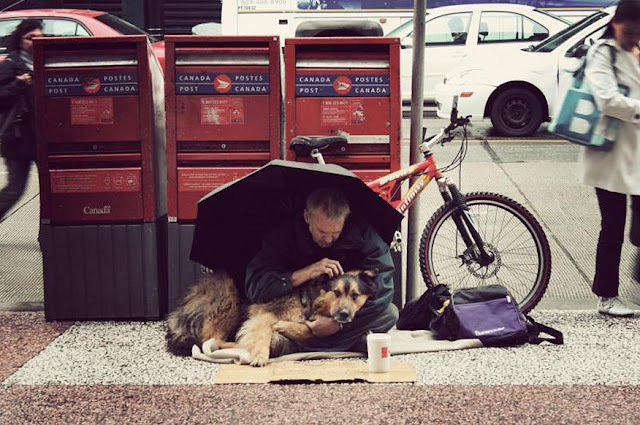 This post is a tribute to homeless dogs, who love and stick with their homeless owners no matter what. 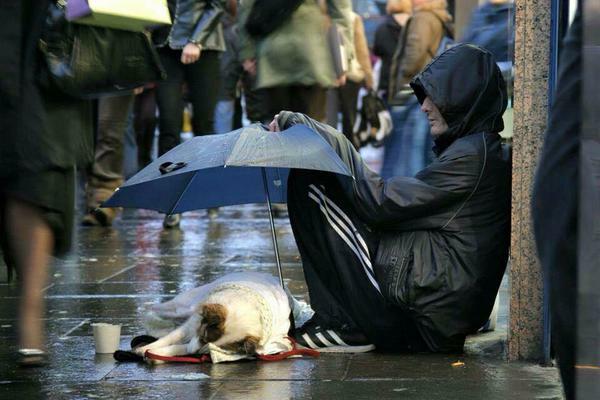 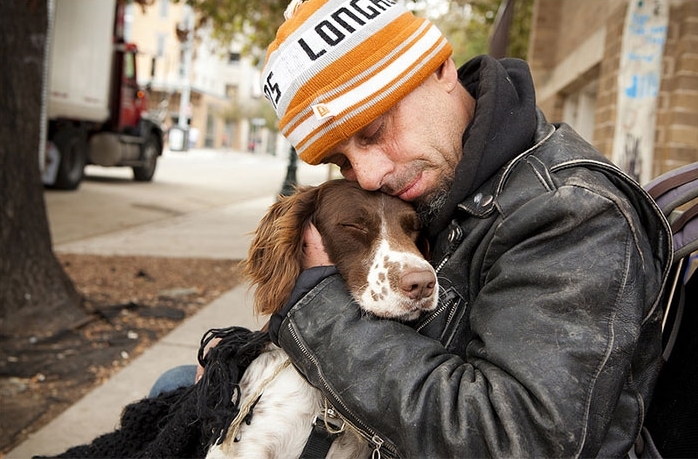 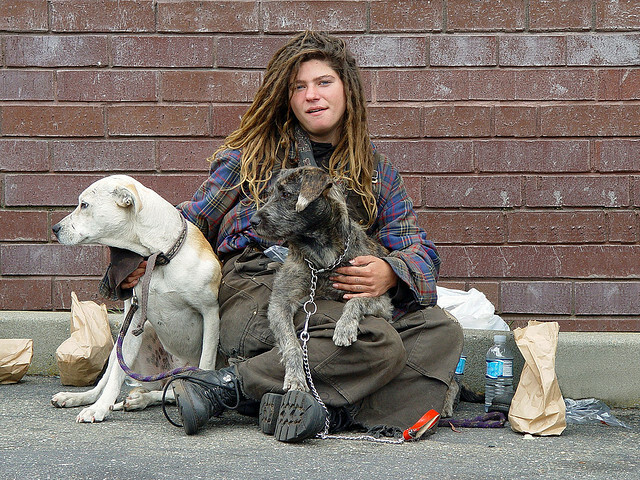 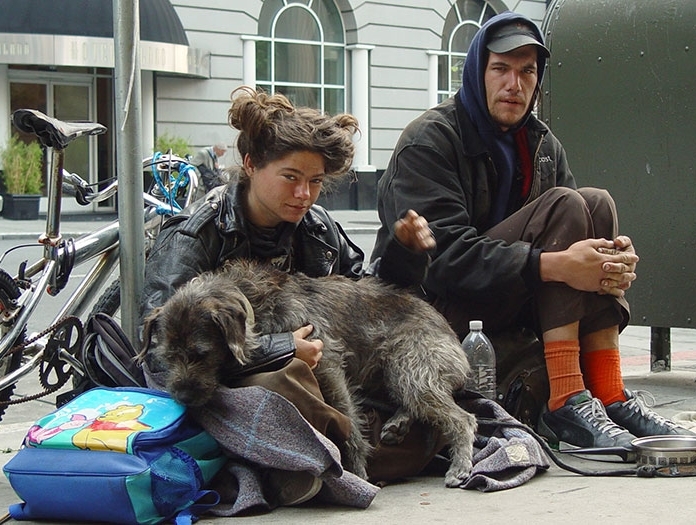 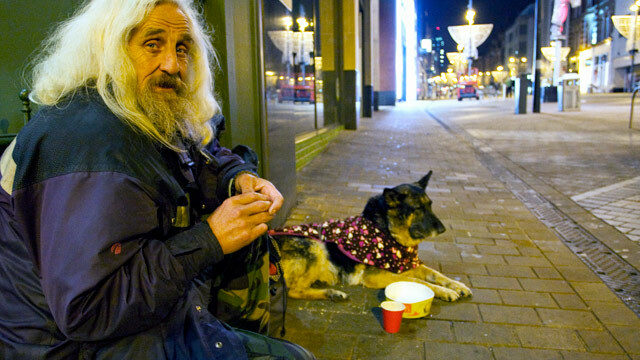 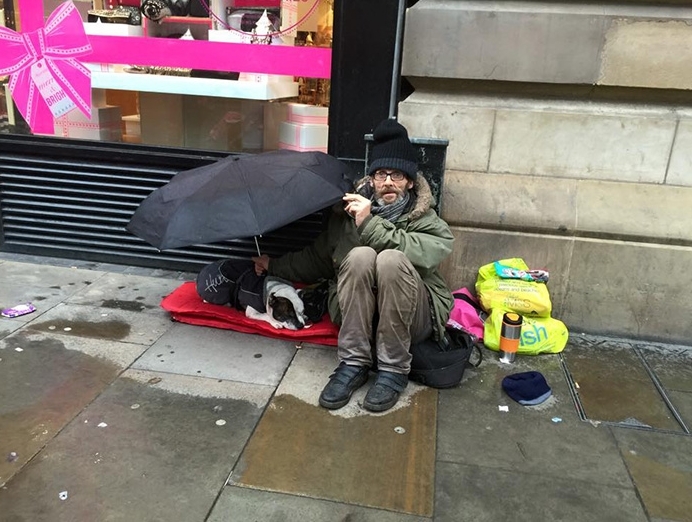 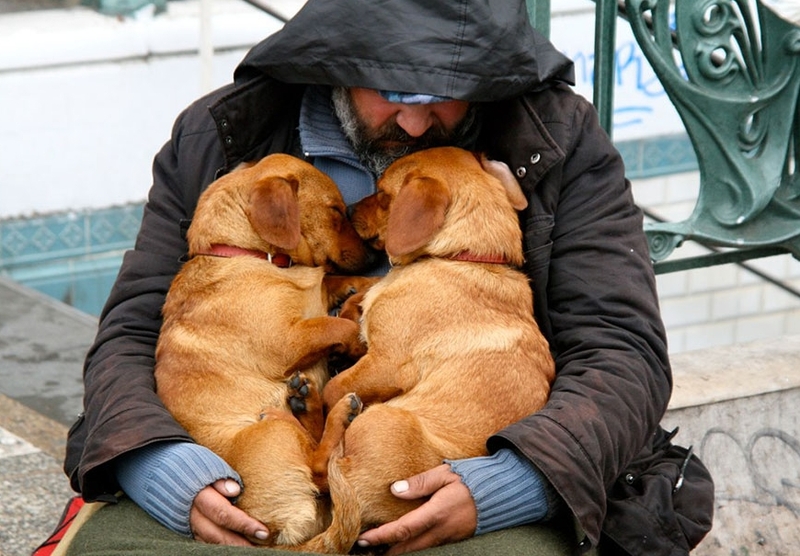 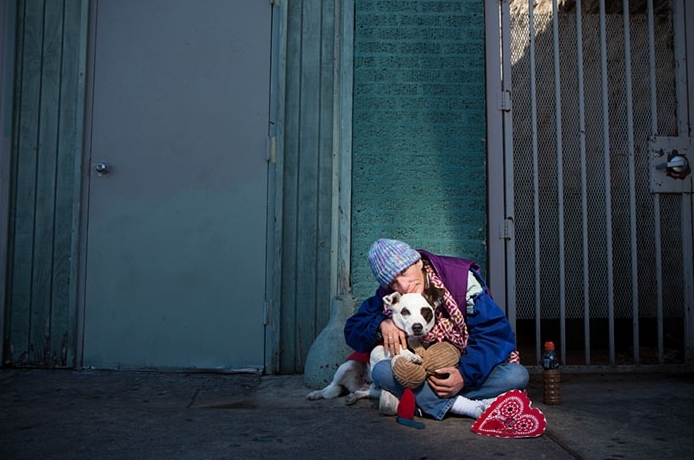 Pet dogs offer vital help to the homeless. 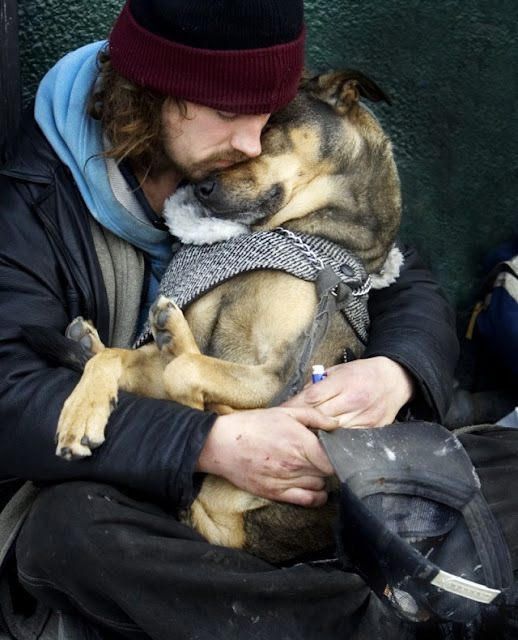 They provide them with unconditional love in a time when much of society has turned their back on them and they protect their owners from the many dangers of the streets. 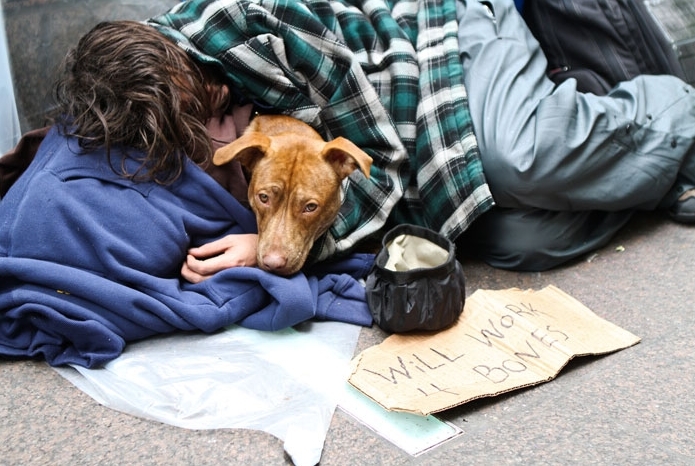 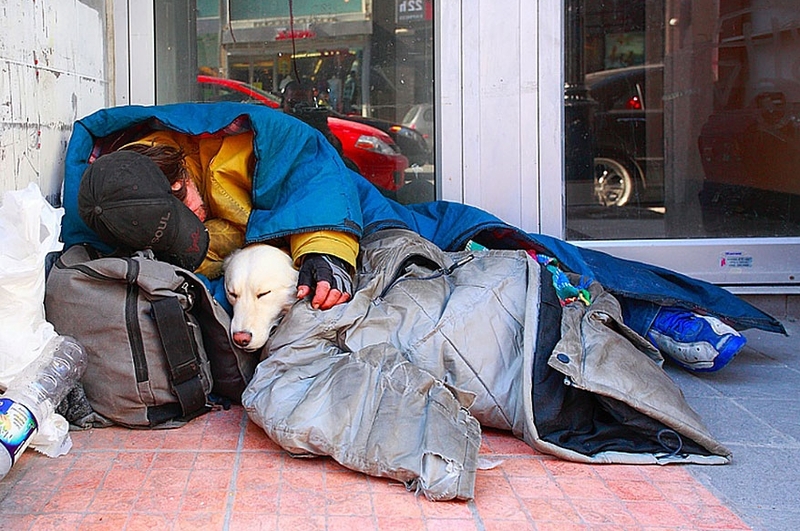 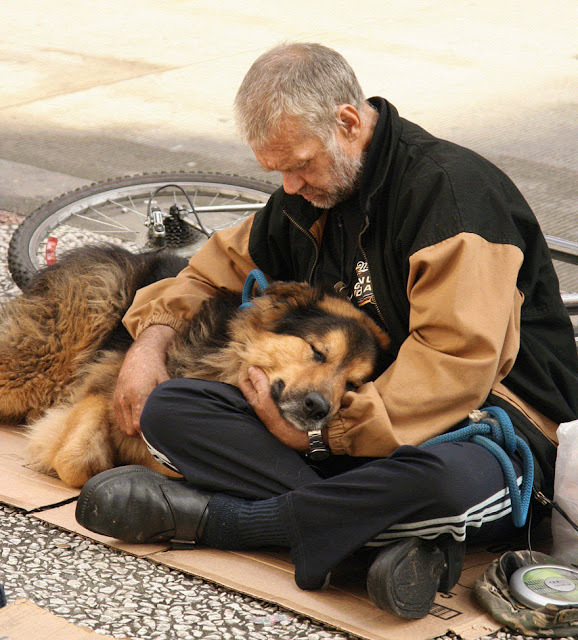 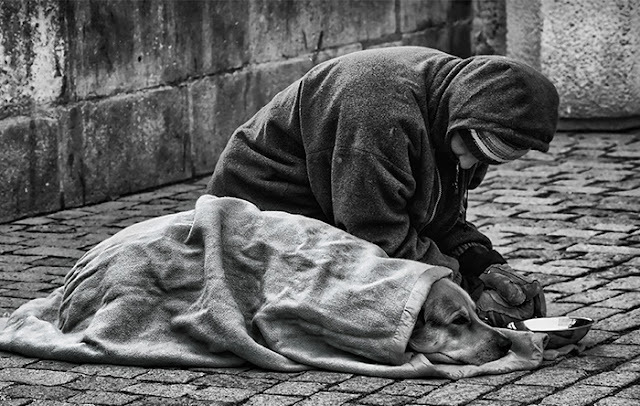 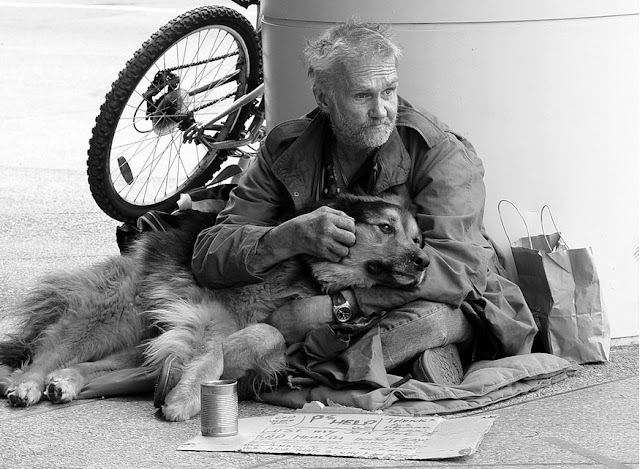 Surprisingly, many homeless dogs are relatively well-cared for. 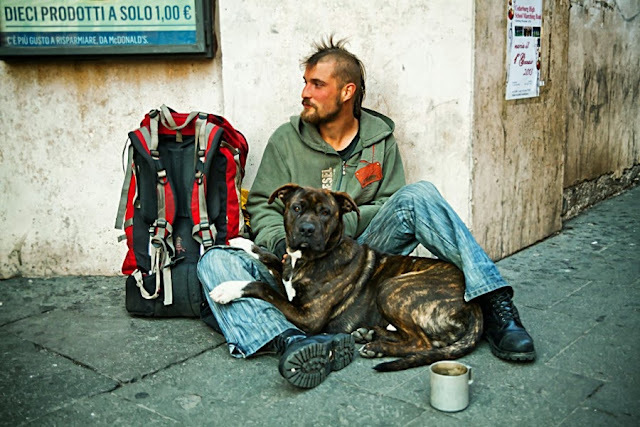 Homeless owners will often choose to go hungry themselves rather than see their companion go hungry, although they are often unable to provide their pets with professional veterinary help. 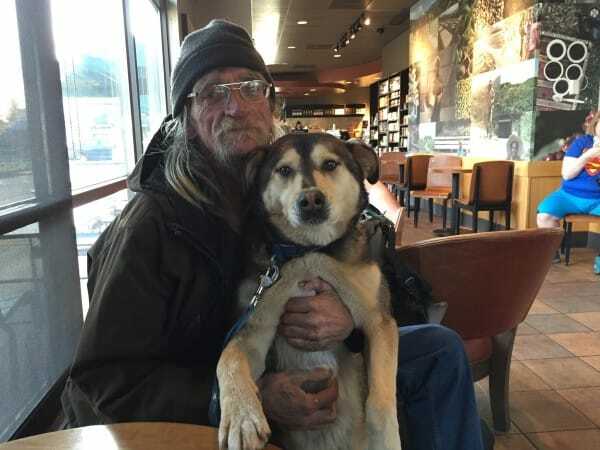 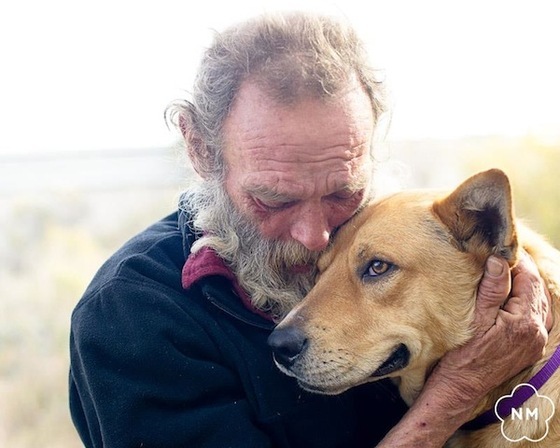 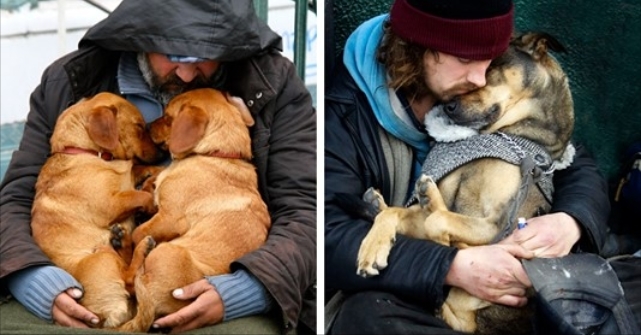 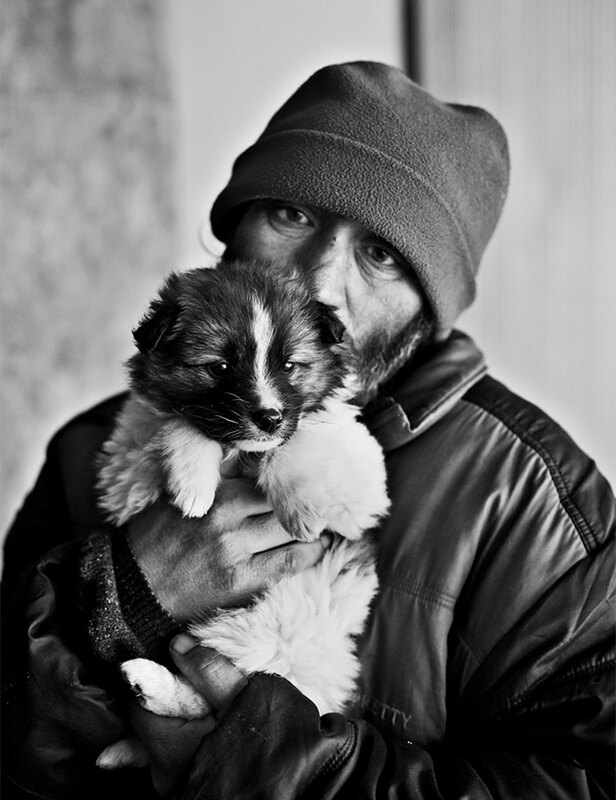 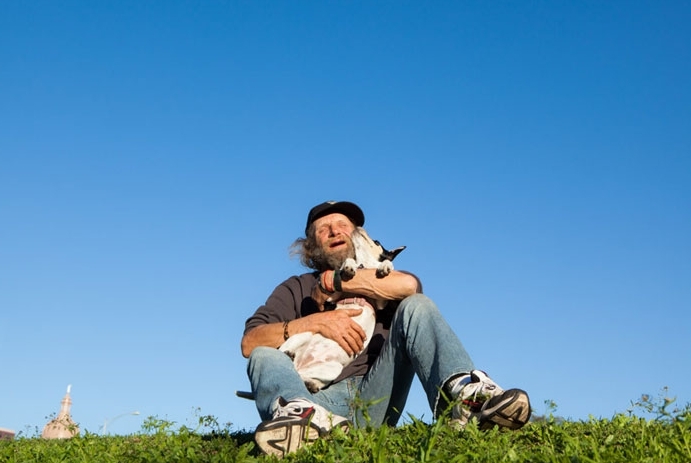 Responses to "Dog's Love: Beautiful series of pictures showing homeless men and their dogs"
The dogs all look much healthier than their human partner. 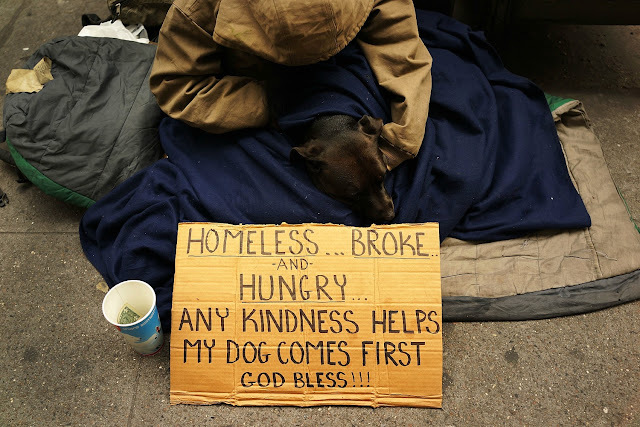 In some of the close-ups, even the dog's nails are in better shape than many non-homeless and prosperous people's dogs. Please change your intro to Homeless men AND women. 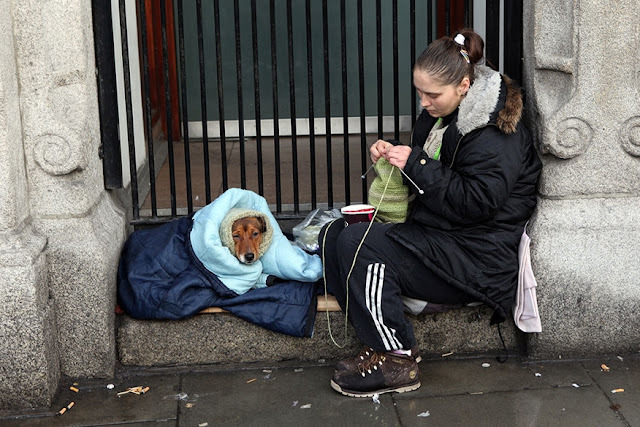 Homeless women really need our love and support, please don't leave them out!! 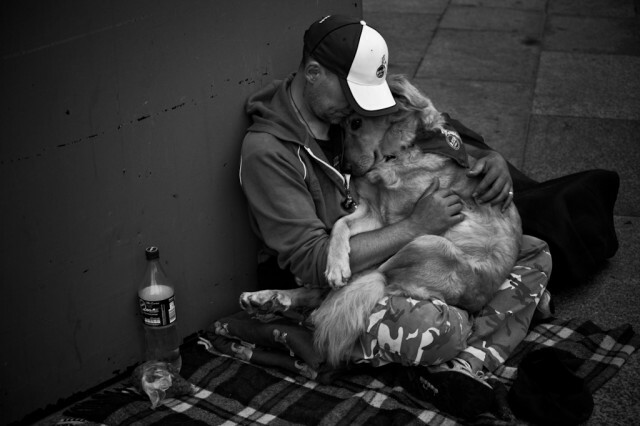 There are homeless women in these pictures too..
My heart goes out to these men and their canine companions. Let whatever gods that be protect them and help them. I am so blessed to have had my puppy with me, when I was homeless, she was the only thing that kept me going, I honor my puppy as I see the two leggeds doing in these photos.